professional development (CPD) as published by the Institute from time to time. In order for CIAT to be confident in its promotion and in compliance with Institute policy, Council agreed the policy which requires us to randomly select 5% of the eligible members for CPD monitoring. 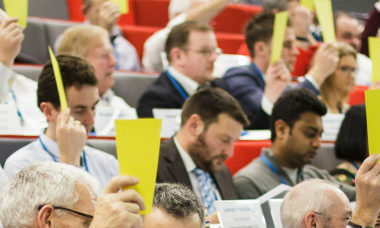 The CPD monitoring requests for 2018 – 2019 will be sent out on 1 May 2019 to those members who have been selected. As per the Institute’s policy, failure to forward your declaration that confirms you have undertaken the required hours of CPD could result in you being monitored on your CPD activity for the next three years, or referral to the Conduct Committee for consideration, or investigation as per the Institute’s Conduct and Disciplinary Procedures. To support its members, the Institute offers an online platform to find relevant courses to support their professional development. The AT CPD Register is an online directory of providers and their courses which have been deemed to be of a high standard, current and relevant to Architectural Technology professionals, and can be accessed here. Members are able to maintain and update their individual CPD activity via the 'My CPD' section in the Members' Only area of the website. Each activity can be logged, and any associated files uploaded with a time tracker to assist in calculating the number of hours undertaken. Members can access it here. Please note that you do not need to provide any evidence of what CPD you have done between 30 April 2018 and 1 May 2019 – this information is for your use and your retention only.